What Jesus’ Coming Means For Us Today! On this 1st Sunday Of Advent 2014, Pastor Timothy Brassell of New Life Fellowship of Baltimore delivers a message of Good News entitled, “What Jesus’ Coming Means For Us Today!” Through Hebrews 10:1-10, he proclaims the GOOD NEWS that GOD THE SON’S COMING IN JESUS IS OUR REALITY, LIFE, and RESURRECTION and that WE WILL BE FULFILLED BY NOTHING LESS THAN HIM! ~ Christ was sacrificed once to take away the sins of ALL and will appear a second time not to bear sin but to bring salvation to those waiting for him. ~ We, IN OUR BROKENNESS, don’t GET to start everything; don’t get to control or guide the outcome of life with our questions and answers. It is our pleasure, our role, to RESPOND IN GRATITUDE to what has been done to us, and INITIATED by GOD FOR US, IN HIS GRACE. GOD, in Christ, and by the Spirit, SHARES THANKSGIVING with us as a human response to HIS GREAT INITIATIVES in our lives! 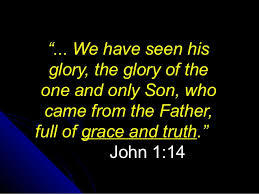 ~ God’s will for the world was for the Son to be born into it as Jesus. The purpose of Jesus Christ was to BE AND DO THE WILL OF GOD AS MAN! It was NEVER put upon anyone other than Jesus to meet the will of God or to meet God’s expectations for Man. We were never meant to carry the burden and impossibility of working out our own adoption and salvation. 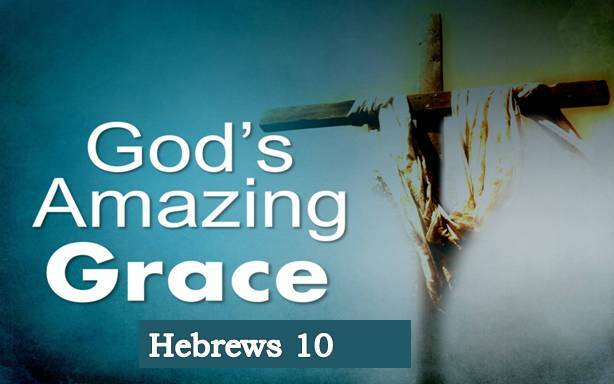 It was always up to Jesus Christ to meet the expectations of God. We were meant to be dependent on Christ. It was the will of God to make humanity HOLY – to rule over everything and everywhere under Christ, God himself! Further, it was the will of the Father to bring us to Glory as his adopted sons and daughters through Jesus Christ and by the Holy Spirit. ~ The Reality of God in Jesus not only stands FOR US, but also against us and against all other people, things, and attempts for us to fulfill our own lives and create our own purpose! ~ The Lord wants us to run in the JOY of being sons and daughters and not with the weight of trying to prove that He exists or in our trying to transform the world. He empowers believers to be witnesses and proclaimers of who HE IS, and to be a people of Promise and Hope! – There are better ways we can take part in Jesus’ Ministry as His Church that will make us more free and less bogged down as we join Jesus in His Mission to His World. ~ Whatever Jesus’ coming means for us TODAY doesn’t mean He isn’t coming in the future, and whatever His coming means for us in the future doesn’t mean He isn’t already here! In the spring, I typically get very excited at the prospect of planting a garden. Visions of fresh, homegrown tomatoes, peppers, and herbs fill my head, crowding out past gardening failures. This year was no different. I planted tomatoes, cauliflower, oregano, basil, and pepper plants in the hopes of having a good harvest. 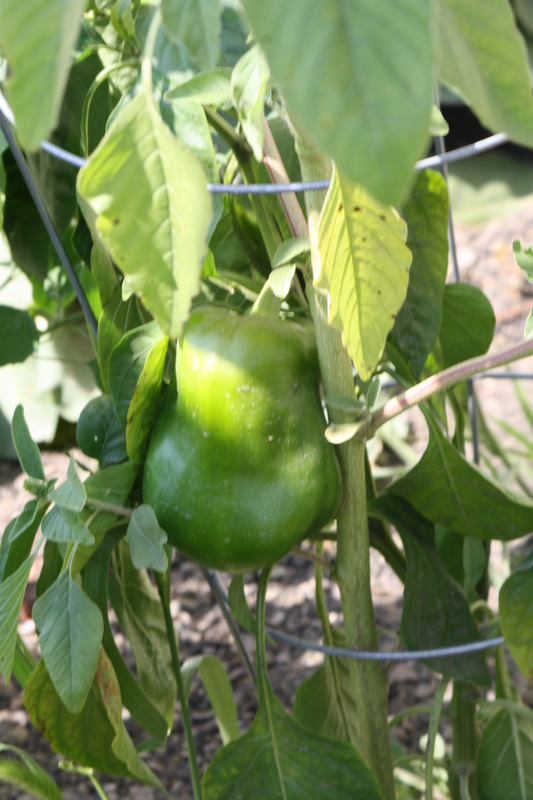 The summer season has cooperated with me, and it looks like I will have a bumper crop of tomatoes to make salsa, and this year, for the first time, I have harvested peppers from my pepper plants. Each year I optimistically buy red pepper plants, thinking that this will be the year when the rabbits won’t eat them, or they won’t die because I forgot to water them or weed them. Weeding is tricky business, I’ve found. Early in the growing season, I’m diligent to pull away at anything that doesn’t resemble the plants I’ve purchased. But weeds are sneaky. Sometimes they are so embedded in the plant that they aren’t noticeable until they are quite large. That’s what happened with my pepper plants this year. By the time I noticed this rather large weed (whose name I don’t know), it had grown to almost six inches tall. When I tried to pull or dig it out, the whole plant started to come with it. I couldn’t have that because by then, I had started to see a number of tiny peppers beginning to sprout. So I let the weed alone, content to grow alongside my burgeoning red pepper plant. Today the weed is about two feet tall and very healthy. My pepper plant is also very healthy, and bearing delicious peppers for my family to enjoy. The weed did not affect the pepper plant’s identity or change my purpose and plan for it. As I considered my pepper plant and this weed, I began to see some similarities between our true identity as sons and daughters included by God and the presence of sins in our lives. In the parable of the weeds found in Matthew 13:24-29, we see the story of a fellow gardener who sowed wheat, hoping for a good harvest, but in the night, an enemy sowed a bunch of weeds in his field. When the young plants started to grow, it was clear that there were weeds growing among the desired crop. The first inclination of the servants was to pull the weeds out, but the wise farmer told them to let the weeds alone and allow the wheat and the weeds (tares) to grow together until the harvest. At that time, the harvester would sort out the good and dispose of the bad. I’ve often heard this parable used to talk about how God supposedly lets believers and unbelievers dwell together in this world, and at the final judgment, the believers get the free pass to heaven and the unbelievers to hell. That interpretation doesn’t sit well if we understand our inclusion in Christ and in his relationship with the Father and Holy Spirit. I see a better explanation of this parable as the way the Father, Son, and Spirit look at the sin and error in our lives. God knows our true identity as his sons and daughters, but the evil one sows thoughts of separation and unworthiness in us. Through Christ’s sacrifice on the cross, he took all the sins, the thoughts of error and separation, into himself and bore them into death. Then when he arose, he included us, free from sin, in his relationship with the Father and Holy Spirit. Because our identity as adopted children is secure, God allows the tares of sin to stay sometimes because ultimately at the harvest, the fire of judgment will burn away anything that tries to diminish our true identity as a child of God. So I’m content to watch this weed flourish because in my eyes, it doesn’t take away one bit from the beautiful red pepper plant that I’m growing in my garden. Its day of judgment is coming soon. We can take heart that our struggles with sin, the wrong thoughts of nonacceptance by God, and the feelings of unworthiness, will all be dealt with by God’s righteous and loving judgment. The four Gospels of the New Testament record many of the sayings and teaching of Jesus. We are gifted with a partial transcript of his wisdom, humor, correction, insight, and compassion. One of my favorites is the statement Jesus made to a woman who had been caught in the act of something punishable by death. We find it in John 8 and many, I am confident, are somewhat familiar with the story. You see there was this ongoing attempt by the religious leaders of the day to try and trip up Jesus, to discredit him, and to have him killed the latter of which Jesus submitted to when the time for his sacrificial death drew near. So in John 8 here they come, the “religion police”, dragging with them a woman caught right in the act of adultery. As you might expect this scene drew a crowd as many wanted to see what would become of her. At the time this all took place adultery was punishable by death. This woman was busted and in real trouble! The religious leaders were hoping to trick Jesus into going against the law of their land thus discrediting him and putting him in mortal jeopardy. Well, I venture a guess that if the religious leaders of the day had known and believed that Jesus really was the Eternal Son of the Father, the Creator and Sustainer of all things, and the Messiah they would not have been so silly as to try and trick him. 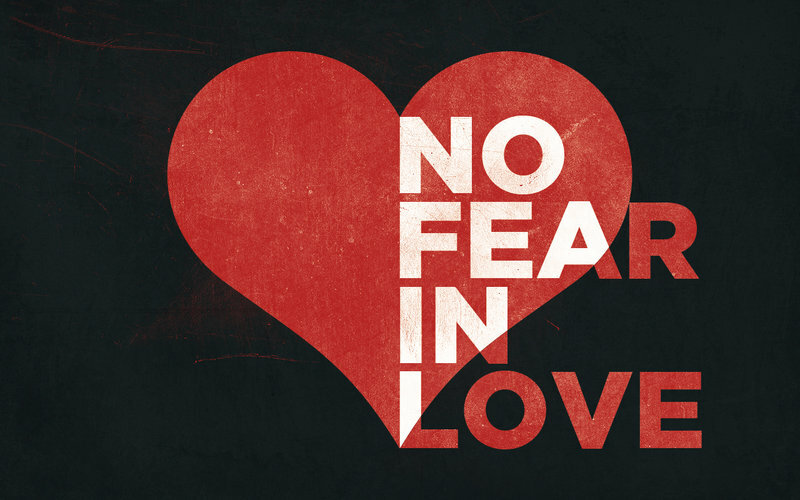 When they brought the woman caught in the act of adultery to him Jesus masterfully handled the situation. He looked at her accusers and wrote in the dirt saying, “Let anyone among you who is without sin be the first to throw a stone at her.” By the way where was the man with whom she’d done this act? Perhaps religious misogynism is a good future blog topic. 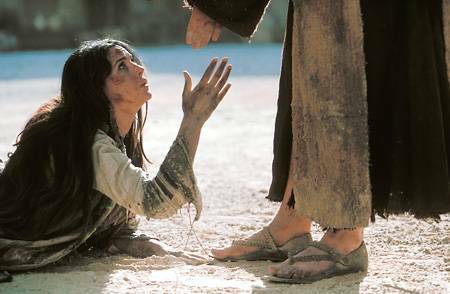 Many scholars believe that what Jesus wrote in the dirt was some of the sins of the woman’s accusers, we really don’t know for sure but what we do know is that Jesus made a way to spare this woman’s life. Jesus took up her cause and defended her. This is greatly important to us as we read of the life and ministry of Jesus but what he actually said to this woman is, I think, most significant.